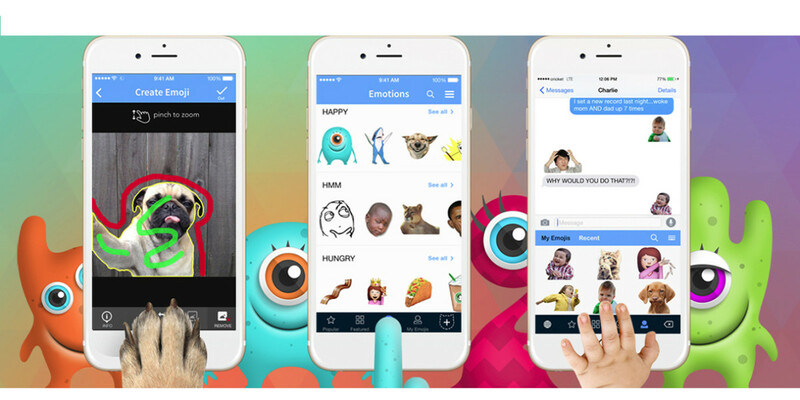 Emoji: It’s the new magic word that seems to inspire universal appeal. 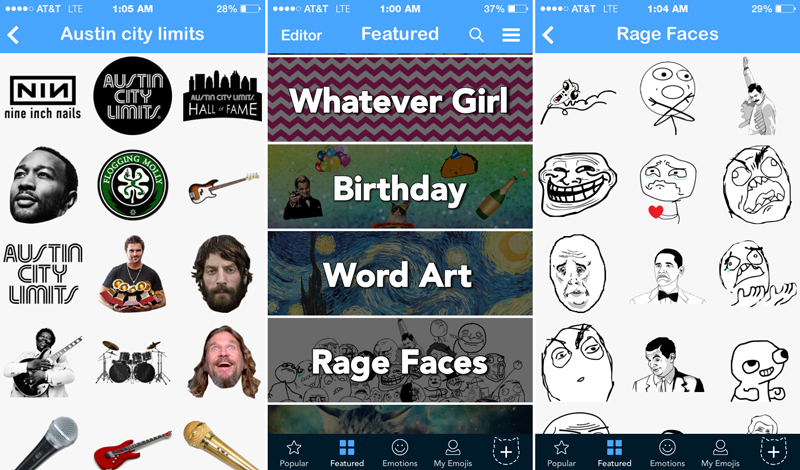 So what better time to release more emoji into the world? YourMoji, a new keyboard app for iOS, lets you create and share custom emojis derived from photos of yourself, your friends, celebrities and other YourMoji users. These can be shared on iMessage, WhatsApp, Twitter, Facebook Messenger and other messaging platforms. Sure, there’s plenty of ready-made emojis out there to choose from — and the Memoji Keyboard even lets you create emojis from your own photo. But YourMoji offers way more creative options, even though it behaves like any other keyboard app that you have to install and enable. It lets you layer different images into a composite for a unique and artistic message. 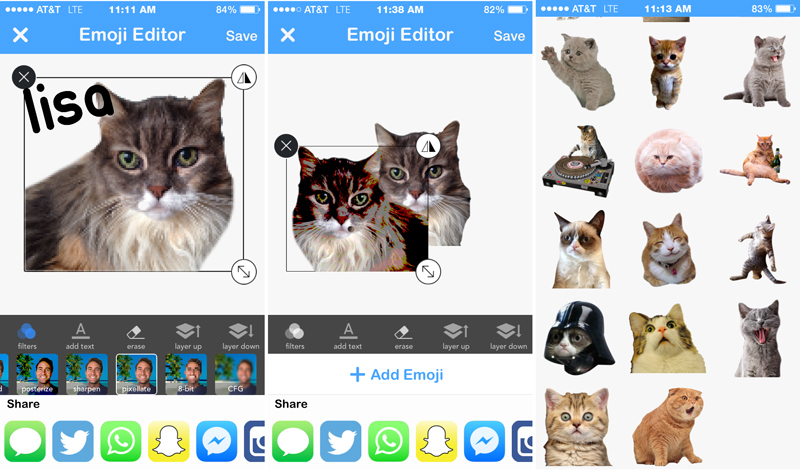 YourMoji’s media editor is built into the keyboard so you can mix in your own emojis and stickers from any image. The app comes with a large library of interesting, pop culture and original images — including celebrities, sports, movies, TV shows, animals, and more — which you can use as-is or combine with your own elements. 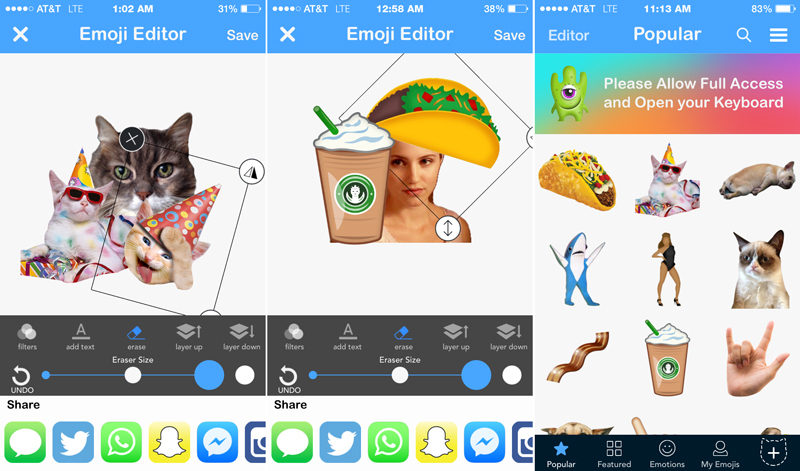 You can even add custom backgrounds and frames by mixing multiple cutouts from your photos and YourMoji’s library. It may be hard to fathom this sort of detailed work on your smartphone, but the app’s edge detection technology worked surprisingly well, letting you use broad strokes to create precise cutouts from images. 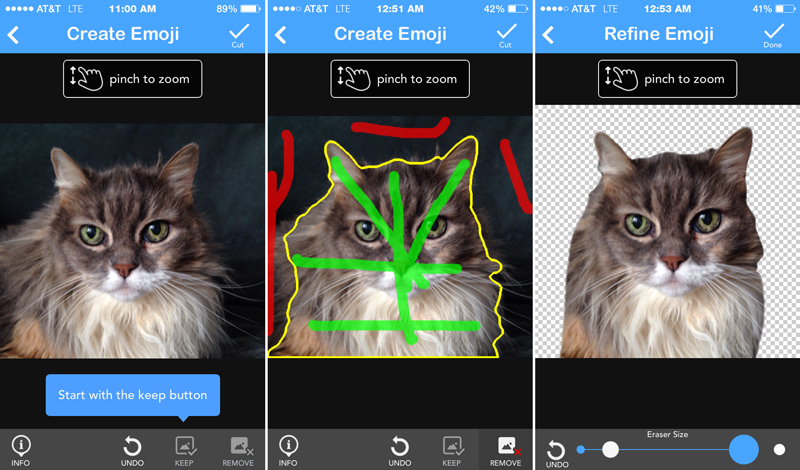 From there, you can add text and filters or layer in other images. Emojis and GIFs are also available from partners, including brands like Austin City Limits, clothing brand Chubbies and PopTV, an affiliate of Lionsgate and CBS. The app is now available on iOS and is coming soon for Android. Knock yourself out.